What started in 1978 as a one-man shop in Madison, Wis., has grown to become one of real estate’s top Power Brokers. Clearly, Bill Kessler’s early goal to become a multiple-office company was far surpassed: Today, CENTURY 21 Affiliated is comprised of more than 100 locations across Wisconsin, Illinois, Indiana, Michigan and Florida, and the company has enjoyed the ranking as the largest CENTURY 21 firm in the world in overall sales volume for three years running. 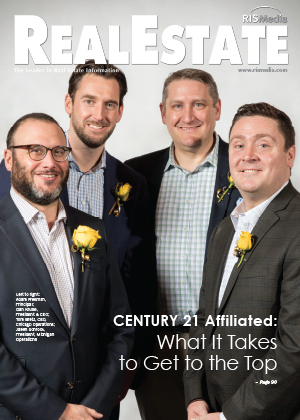 As the firm celebrates its 40th anniversary, Founder Kessler and President and CEO Dan Kruse share the strategies and philosophies that have sparked and sustained CENTURY 21 Affiliated’s success. Maria Patterson: Tell us a bit about the company’s history and the course of its growth. Bill Kessler: We started with one person in 1978 and had major growth spurts in the early ’80s, late ’90s and the current decade. Now we are listed among the Top 20 real estate companies and are No. 1 within CENTURY 21 for overall sales volume, with 20,000 closed sales units representing sales in excess of $4 billion (for 2017). With more than 100 locations spread out over five states, we are in many markets with a variety of dominance, from a brand-new location in Vero Beach, Fla., to 65 percent marketshare in Beloit, Wis.
Dan Kruse: Bill had the vision of having a multiple-office company before that was a thing. We grew to about 12-13 offices, and that’s when I got involved in the early 2000s. I was 24 years old, and I was cutting my teeth in the real estate world. I asked Bill if he had found an exit strategy. He hadn’t, and I started helping him with the concept of a larger organization. From 2004-2010, we grew to 35 offices across the state of Wisconsin, always playing on the side of having centralized services—we’ve always had the hub-and-spoke concept. MP: When and why did you take the company beyond Wisconsin? DK: In 2010, I was approached by Tom Bretz, a friend in the Chicagoland area who wanted to delve into the residential platform. There were a lot of CENTURY 21 brokers in Chicago at that time, many of whom were struggling with the recession. We opened our first Chicago office in November 2010, and since then, have grown to about 35 offices throughout the Greater Chicagoland area. 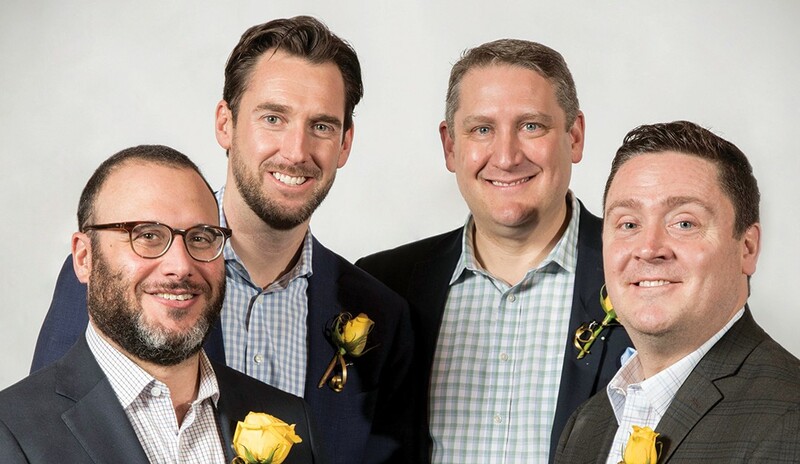 Joining with key principals Tom Bretz, Adam Freeman and Jasen Schrock, along with the success of this expansion, led us to further expansion in 2014 when we ventured into Northwest Indiana, and then Michigan in 2015. In 2016, we expanded into Florida, acquiring a company in the Greater Tampa Bay market, and we’ve acquired two other offices in the state since then. MP: So where does that bring the grand total, in terms of offices and agents? DK: We have 112 offices across the Midwest and Florida, about 2,600 agents, and about 250 full-time employees. It’s been a wild—but fun—run since 2004. And the company is celebrating its 40th anniversary in 2018, so this is a very significant year for us. MP: What are your criteria when it comes to expansion? DK: We are always looking for great opportunities, but it’s not like we’re looking at a map and saying, “Here are our target areas.” Sometimes an opportunity is presented by the marketplace—for example, during the recession—but the magic with all the growth that’s happened for us was based on people and culture. When we have an opportunity for growth or for a merger, we have to feel good about the people we’re dealing with. We’ve done deals where we were unsure about the culture, or the model was different, and we struggled with those moves. So, when we see an opportunity where we like the market, but it’s also a great culture, we’ll jump on those all day. When you align with the right people, it makes so much more sense. A twig, no matter how weak, is better than a seed; mergers and acquisitions trump start-up offices. Water flows downhill. Only enter markets where there is opportunity and need, not markets that are prestigious or geographically close, but lack opportunity and/or are overly competitive. As Dan said, similar office cultures work best. It doesn’t seem to matter if we expand into a small, rural area or the heart of a city. What does matter is that the agents and office have complimentary belief systems in terms of needs, style and market focus. 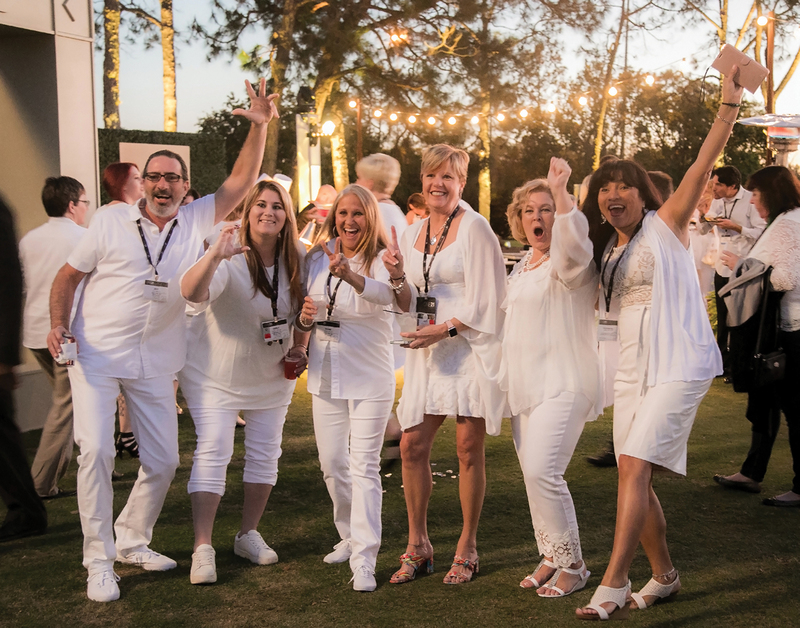 With a focus on aligning with the right culture, CENTURY 21 Affiliated has grown to be the largest CENTURY 21 firm in the world in overall sales volume for four years running. MP: How would you describe the current state of your markets? BK: All of our markets, be they long depressed manufacturing towns or hot new destinations, have in common a pronounced lack of inventory. DK: Agreed. Whether it’s Madison, Wis., or Tampa Bay, Fla., inventory is tight across the board. New construction is lacking in every market. There are also challenges associated with the new models that are coming into the market. We have to look at what they are offering, how they are structured and what our value is. Anytime a new model comes in as a competitor, you can either get frustrated, or welcome it as a good sign of the overall health of the industry. BK: The opportunities are greatest in times of crisis and uncertainty, and frequently happen when least expected. So, be prepared. MP: How do you make sure your agents are prepared to compete? DK: We’re working with our team leaders in the field on knowing and understanding our value package. We focus a lot of time and energy on training, educating and coaching our agents to make sure they have the best possible skillset when competing in a tough inventory market. We have a very advanced training department and three full-time trainers. We also use CENTURY 21’s training programs and outside coaches like Jared James, who offer an outside perspective. BK: Some agents thrive under a coaching environment; some thrive with training. We pride ourselves on providing tools for agent growth no matter which stage of their career and no matter which learning style best suits their personality. MP: What are you doing differently to set your firm and its agents apart from the competition? BK: We have the benefit of a brand that exudes strength, consistency and safety while continuing to stay fresh and technologically sharp. The company itself has the unique combination of historic strength and younger leadership. DK: Yes, I feel strongly that the CENTURY 21 brand is in the best place it’s been in for the last 18 years. Nick Bailey is doing a great job with the rebranding. It’s a high-value package—this brand that’s so well-known within the consumer world, and now it has this new direction, focus and momentum. We also spend a lot of time, money and energy looking at technology and making sure we are on the leading edge for our agent base and the consumers we serve. 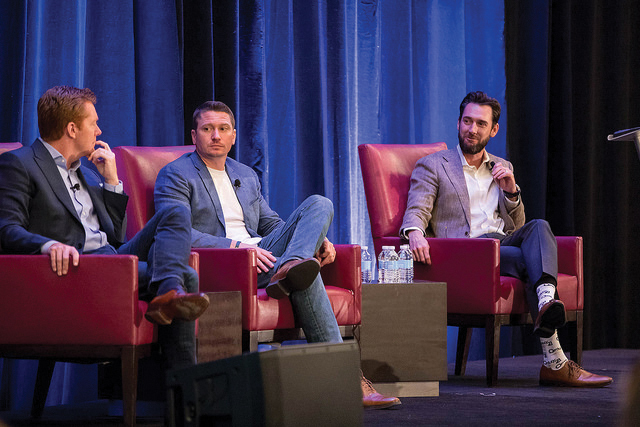 CENTURY 21 President & CEO Nick Bailey (left) and real estate coach Jared James (center) share the stage with Kruse. MP: How do you stay ahead of the curve on technology, online marketing and social media? BK: Staying ahead of the curve is not a goal. The goal is to determine when it is time to take the next step forward because the latest and greatest has evolved to the point where a secure product can be installed and it will enhance customer service and agent efficiency. Monitoring the competition is critical. We don’t have a monopoly on great ideas. All that being said, there are times when our industry has lagged, and we have taken it upon ourselves to be trendsetters. Lead management is an example. DK: We have a full marketing department as part of our core services, as well as a social media team. We’re constantly out there promoting through Facebook, Twitter and all the major avenues. We are constantly pushing out local information to our consumer base. We are also on all the different portals. The fact of the matter is, people are looking in a lot of different places, and we need to make sure we have exposure. MP: What marketing strategies have helped you best connect with consumers? BK: Marketing is ever evolving. Pre-internet, it involved getting our agents and listings in front of potential buyers in an interactive manner, so we focused on revolutionary concepts then like pre-marketing open houses, kiosks in shopping malls and hotline numbers. Post-internet, the goals are to use websites and social media in such a way as to maximize property exposure and recapture the feel of personal service, rather than faceless data exchange. DK: The larger we’ve gotten, one of our biggest challenges is making sure we have a local influence. With the Affiliate Foundation, we have been able to do some good things and give back and touch the local communities we serve. We have a lot of fundraisers throughout the year and pool our resources. Our local agents and staff then apply for monies from the Foundation for local causes. This allows agents to be community leaders in their different areas, as well. MP: So, clearly, there are a lot of reasons why an agent would want to join your firm and stick around a while. What is the most compelling reason? DK: Mostly because they want to be part of an organization that’s on the forefront and is growing and has a story to tell. People love the idea of being part of something special and something bigger—they get excited about that. They know we want to invest in their future and listen to what they have to say. BK: We have an excellent value proposition with massive opportunity from company-generated business, coupled with market-current education and competitive compensation options. Most importantly, ours is a culture of family where agents and employees cooperate and genuinely like and care for each other. It’s a home, not simply a brokerage. MP: Please describe that culture. BK: We strive for inclusivity and diversity. Additionally, this is a bottom-up organization, where input is encouraged and listened to. We have a central core of values and services, yet encourage each office to adapt to their local marketplace in terms of customs and practices. It’s more important to do the right thing than to get the extra dollar. This leads to loyalty and long-term business success. And success and fun are not mutually exclusive. We emphasize life balance. MP: What’s in store for the future of CENTURY 21 Affiliated? DK: Big picture, we want to continue to keep our eye on smart growth opportunities when they present themselves. I love the idea of being the largest CENTURY 21 firm in the world, and I have plans to stay in that ranking. I also have the goal of being a Top 10 real estate broker in the U.S., and we’re moving closer toward that goal. We have great agents, and if we can help every agent in the company do a few more transactions, that will lead to the growth and success of the company. BK: We will continue to be proactive and seek out opportunities for growth that do not endanger our level of service to agents and the public. Those opportunities will manifest themselves, rather than taking on the form of a planned march into a certain community or subset of ancillary services. My other goal is to enhance and provide the best possible tools, education, training, systems and core services, while finding new ways to be innovative and provide support—and to find new ways to give back and be meaningful. For more information, please visit www.c21affiliated.com.